Mr. Rickey E. Childs, 62, of LaGrange passed away Saturday morning at Wellstar West Georgia Hospice. Rickey was born December 9. 1955 in LaGrange the son of the late Gene and Betty Mann Childs. Mr. Childs retired from Kimberly Clark as a process technician having 32 years’ service. Rickey had many passions, most especially taking care of his wife. Watching Alabama CrimsonTide Football and fishing. 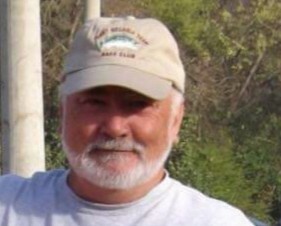 He was a former member and past president of West Georgia Team Bass Club. A time of visitation and remembrances will be held from 6 P.M. until 8:00 P.M. Wednesday evening, November 14, 2018 from the Hunter-Allen-Myhand Funeral Home. Please log onto hunterallenmyhand.com to post your remembrances and condolence’s.